That's the stories of a new player first interlopers. Background is a completed Hard Mode Wintermute (Ep 1-2), and the Nomad Challenge. The challenge was way too easy compared to wintermute, even without knowing the maps. Easy challenges make someone rely on bad habits, like "hey let's go the easy way, anyway even if I fight a wolf, I'll easy-win" or "no need to hunt, there's tons of food everywhere" or "why would I craft/use a bow when I found 4 rifles? and 100+ ammos?" So, I decided to go to the sandbox for the first time. I'll never play any other difficulty. I don't know the maps, the guaranteed spawn locations. I play with a newbie POV, and I'd like readers not to tell me where to find what unless I ask, but I doubt I would ask. I hope it will be fun for you to read, knowing what I missed for not knowing the map. The journal end here, found near a frozen corpse tabooed "BSk1"
I'll write the next one in a text editor. Crashed in Forlon Muskeg, it’s around 10am. From precedent lives, I recall this waterfall being near a tower and a prep cache, plus there is a nice meat-spawn to the right with a cave connecting the 2 points. 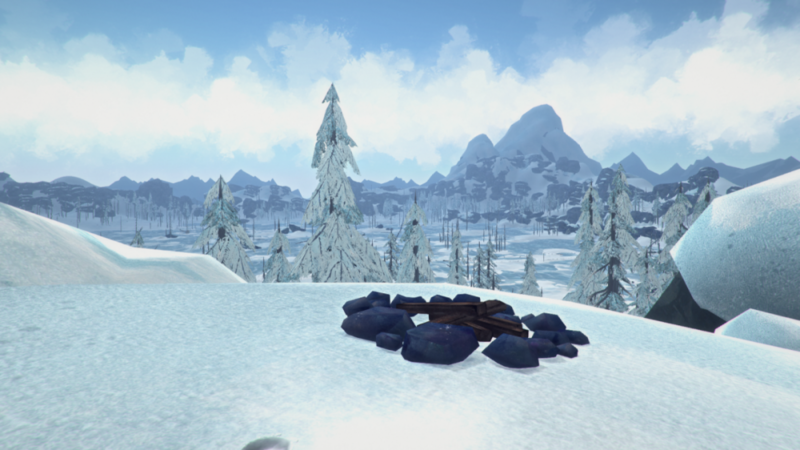 And a Forge at other end of the map, sounds like heaven! I go for the tower, knowing from wintermute side-quest that its a wolf site. With some stones and some cattails in my pocket. I crawl. The clearing has a dear, no wolf in view. I go get some sticks. Temp bar 20%. I grab every stick I see and OMBLs, heading to the tower base. Arrive at the tower with HypoRisk. I loot Bobby, candy bar and a can opener. Metal box1 I find worn Cotton scarf. Second one a decent t-shirt. +3°C body temp total. Of course I leave the crates alone, can’t spend 1.5hr in the cold. Camp site nearby: 1 Cedar, 2 fir, 1 accelerant. Frosbite risk appears. 32 sticks harvested. 1 frozen carcass I can’t harvest, no ignition. 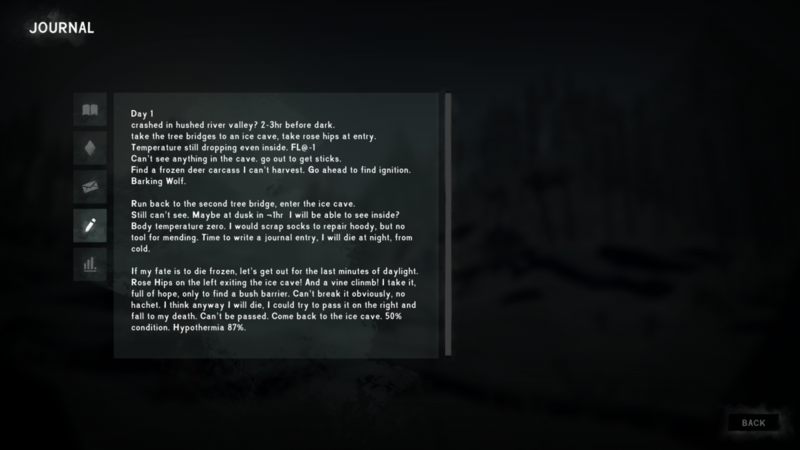 I head to the prep cache to warn up a find tons of loot, cans, ignition, clothes and a bed. NO CACHE! I look a second time, there's no way it could be anywhere else... Must be specific to Wintermute only, or I need to buy new eyes IRL. It’s noon, don’t panic. Don't panic dontpanic dontpanic. Use your brain, a decision is needed quickly. The Spencer’s is too far, I’ll die cold on my way even if I survive the wolves and the thin ice. But with no igniter I’ll die anyway, I have to go down in the Muskeg. I decide I will go from NE, checking the other cave entry near the rabbit clearing which I recall being full of Shrooms. Go back the the first cave entry, it’s just past noon, Maybe I’ll heat up. Jackpot! +2°C FL inside the cave. I wait and clear a bit of my 55% HypoRisk, maybe I can make it to the Spencer’s before dusk in the warm hours. Still can’t explore the cave, no light. 67% condition, 22% frostbite (hands, I suppose). Pass 3hr warming up, crafted the OMBD and some tinder, ate the chocolate bar and the cattails. Forgot I had cattails heads, I regret I spent 1 stick to make tinder, but anyway it doesn't matter without ignition. The dusk sunlight makes it possible to navigate through the cave, find a rope and then a "hot" "harverstable" deer carcass. I harvest it completely. Can’t find the exit now, the cave is too dark. Dehydration kicks in. I’ll have to spend the night in there. Pass time until sunlight comes back. Starving, dehydrated, nearly exhausted. Condi 33%. I was so close to the exit… I leave the the guts in the cave, the steaks outside. I leave all wood there too, can’t carry them due to exhaustion. Pack under 15kg, I keep 1 coal. Early morning hours are too cold, and there’s a strong wind and medium fog outside. I must wait a bit more if I don’t want all my bars red. I hope I’ll find some soda on my way. Condi 25%. Really need some ignition. I decide I go out at noon maximum, whatever the weather. Get “Face the impossible” achievement while waiting. Bareskin1 was not alive 24hr, obviously. 3 red bars, Temp mid-range. At around 11am, the wind stops. I go out. Harvest 9 shrooms, get to a useless rope point, and a blizzard strikes. Back to the cave for postive FL temp, 16% condition. I might die very soon if the whether doesn’t get better. I decide to explore the cave a second time, it’s noon light. I see mirages of backpacks in every shadow. I only find 1 more coal. 13% Condi. Still blizzard. Temp bar 20%. Blizzard stopped, I go out. With 4 red bars, I arrive above the Muskeg, full of Wolves. I fade into the long dark. Mistake n°1 assuming the pepper cache was there in Survival mode… Mistake n°2: go for the useless guts. And the useless meat, thinking about it. This should be moved to the "Survival Stories" subforum. Crashed at the exact same place as Bareskin2. I decide to check the clearing to the left, if no wolf I loot the tower place, if wolfy I begin to sneak to the Spencer’s bed and get stuff on the way. It’s windy, 11AM. The wind gets stronger, I decide no to loot the tower and instead go in the cave to benefit from noon light exploration and warm up. Find a rope, maybe this time I’ll use it to get down in the muskeg, some stick and stones. Exit at Marsh Ridge, go down leaving the rabbits alone, deploy the rope and HypoRisk kicks in. There is a blind not far, maybe some ignition inside? I go straight for it with this paradise idea in mind. Fall through weak ice, instant hypo. Arrive at the low blind, find a book and an empty backpack... Condi 72%, wet clothes. Decide to head for the wagons nearby. No wolves seen from the blind. Find scrap metal at the wagons, continue SW, light fog is dropping down on me, condi 50%. Above a small crest (big in FM standards), I understand why I didn’t see any wolf. Eye contact with the bear. Need to change route, I’m not confident about killing it with stones... Around the bear to the east, I see the Spencer’s. And a wolf on the way, but heading away. I wait a bit and go straight in between both creatures. Sprint, but fall into ice. Already was wet anyway, but the safe passage is towards the wolf. Condi 20%. I go around the wolf thanks so some high rock, beginning to lose vision. I “die from massive internal injuries after falling” (that's a new one), going backwards while keep wolf in sight. There's only in TLD which I prefer looking at wolves instead of where I put me feet. I should have read this book and die in the blind instead. Never read a book yet. Do have one tip I gotta impart though, just one. It's cold. Stay warm. I've understood the hard way with some next BareSkin that Freezing is actually waaaayy more aggressive on condition than other needs. There you go, valuable lesson learned. That insight will help you in future runs. What's not really clear here is what difficulty level you're playing on... Interloper? Hum, right... That was so clear to me I forgot to mention it... I chose to discover the Survival mode directly on Interloper. I told myself knowing the maps would be less "fun". I guess I will regret it soon, but discovering the maps happens only once, I wanted to keep my virginity for Loper. The vanilla one, nothing customized. Crashed in Hushed River. It’s past noon, I’m on a iced river under a cascade. Offset Falls, the game calls it. Cattails, go down the river, I don’t go to the left passage, no idea why, I just don't fell like it. Under a fallen tree bridge, hypo breaks in when crossing another cascade. Find 2 coals, a rabbit, and see a wolf. Run for the tree bridge to the left to exit the river. Place resembles the deathplace of Bareskin1, but everything seems the same everywhere in HRV. Run into another wolf, go back to the tree, see the first wolf feeds on the rabbit, go down into the river and follow downstream. See a rope on the left. It’s less than 3 hrs daylight and I can climb it without fatigue kicking in, I take my chance. At the top, I meet an old friend of mine, frostbite risk. Getting a nearby highpoint, I recognize the place. I’m at Bareskin1 graveyard. There is the cave and the rosehips, but I have no ignition and the light is not good due to fog. I decide to go the other way, I go down rightside of cave entrance, because the wind is blowing this way. I can’t believe I climbed the rope uselessly when I understand that’s a dead end. I go upwards against the wind towards the cave to check it. One of the cascade permits going down pixel-style, I drop the cave idea and go down, at the cost of a double sprain. 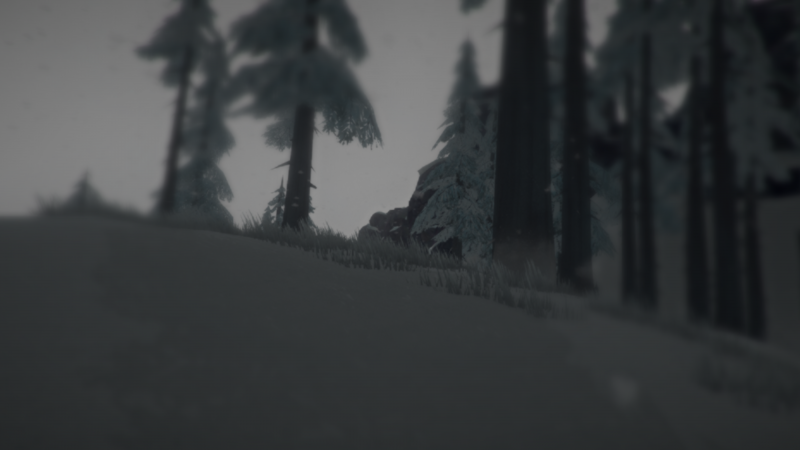 Find an ice cave on the right hand side of a nearby path. Double sprained, I have no choice left, I enter. 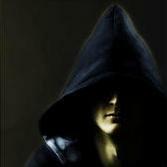 My memory recalls me of Bareskin1, I’m heading towards the same fate. Condition 57%, FL -2°C. Head towards some bioluminescent stuff, can’t go further, pitch dark. Hypo risk 88, double frostbite and double sprained. The night will be long. Maybe too long. You really thought there was a day 2 , right? Gotcha! I fade into the long dark from exhaustion and cold there, in front of 5 small stupid “barrier” bushes that feels like a ridiculously inelegant and despicable middle finger to me, from, let’s say, “the game”. Man, I didn't even made a screenshot, this run was utterly useless. I chose to discover the Survival mode directly on Interloper. Kudos to you.. You've taken on a challenge that's monumentally more difficult than you realise. None of them lasted more than a couple of dozen or so attempts before deciding that maybe they really ought to dial things back a notch or two while they get to grips with TLD. It is not like other so-called "survival" games. If you succeed at this, you'll be the first to do so. Really. Maybe that thought can provide the motivation you'll need. I look forward to seeing how far you can go.. best of luck! An HRV spawn is probably a death sentence on Interloper if you don't know the map. Still, you need to go through it... how else would you learn the maps? Generally, they were people who were like "I've beaten plenty of survival games.. I'm good at them! I can do this, no problem! It might take me a while to get the hang of things, but I don't need to play no wimpy 'easy' levels.."
I perfectly know these kind of guys. I grew up in the mountains, where every year you hear people dying of being stupidly confident and go get this 4800 summit alone cause "hey, I've climbed 6000+ before and made it OK". Lack of humility is not part of why I choose to go Loper directly. I have nothing to prove, my RL-pen is fine and my e-pen too (I don't have one), I just want to experience it this way. There is no easy in TLD, whatever the playing mode. You're out in a blizzard, you're dead, period. I didn't master other survival games, I just barely played one on a tablet once last year. Still, I'm not completely fresh, the Hard mode Wintermute is linear and tutorialish, but is brutal. You die a lot from wildlife and cold, you live in fear of wolves, except there is the saving system. Maybe that's the main difference between me and the previous attemps, at the time maybe the story was not yet out. I agree learning the basic game mechanics directly on Interloper without Story mode would be somewhat stupid, hell, the tutorial is already really frustrating for a new player. Good thing you can skip the intro video, believe me. I totally realize what I went on, but I think that's the way I'll get more fun from the game. It's just, I wouldn't be completely proud of myself achieving something when I know there's a harder mode. Not talking about custom plays like DeadMan, just the vanilla Loper. I'm still not decided if I use the player-made maps later in the game, it's frustrating me that I take the time to map some places and this "knowledge" disappears upon death, while the "experience" is accumulated. I just feel like mapping and the mapping achievement should follow the same system as the feats, being accumulated 'in the background". I'm just warning you that this can be a heart-breakingly slow and painful way to learn the game and its mechanics. Exactly what I told myself with BareSkin7 yesterday, while crossing HeartBreaker Bridge. There is also the question of what do you do once you succeed? The game will hold very little challenge for you any more. I don't think I will ever get to that point! There's no single way I would "succeed" I guess, if we call a success a run abandoned due to boredom, like "dying from old age". Starting on Loper I think expands a lot the game lifetime, since it's expensive to explore the maps on this mode. It seems the veterans problem is to get new maps to discover cause they know all maps perfectly, I don't face this kind of frustration. For example, I know from reading the forums that there is a pistol in the Ravine, but the mere fact that I don't know where it is yet adds a challenge. Escaping the hell map would be a true success, I guess :D. When/if it happens, it's tomato soup for everyone! Better be taking a hacksaw up to TWM and looting some cargo then, because that's a lot of tomato soup you're gonna need. @BareSkin, good on you, mate.. you're approaching this project with exactly the right mindset.. well done.. I honestly believe that if anyone can pull this off, you've got what it takes. To borrow a line; "And you, young BareSkin, we will watch your career with great interest..."
Good luck and keep posting. I'll admit I used maps - but I don't need to anymore. However I think there are a lot of small tricks in TLD that are very difficult to figure out - things that don't really make real-world sense. I think there are a lot of small tricks in TLD that are very difficult to figure out - things that don't really make real-world sense. Yeah, I kind of get what Hinterland tried to do with the quests that Gray Mother and Jeremiah make you do - have the characters teach you game mechanics - but you only learn the absolute basics from them. I'll admit I didn't even know you could torch chain - I thought you had to use your torch to make a fire, then pull a torch... basically, I played this game a bunch on Voyageur when it was just CH, ML and PV, then played a bunch after Vigilant Flame. Voyageur is a well-calibrated difficulty level for someone who has no idea how to play that is good training for Stalker, but Stalker is nothing like Interloper. You are only going to learn map knowledge on other difficulties. Careful.. that comes dangerously close to "giving tips"
Luckily, I discovered it already (2 days ago) on a next Bareskin. So this time it wasn't spoiler, but that was close! Crashed in HRV around 15PM. Clear sky, windy. Just above the bushes where bareskin4 died. I decide to go straight for the ice cave after the tree bridges. I sprint, a wolf is patrolling near the second bridge, in front of entrance, so the cave is the only option. FL negative. Go randomly through the cave, find the dead rabbit place. No rabbit but 3 sticks. Go random a bit more, each time backwards, going away from light source. 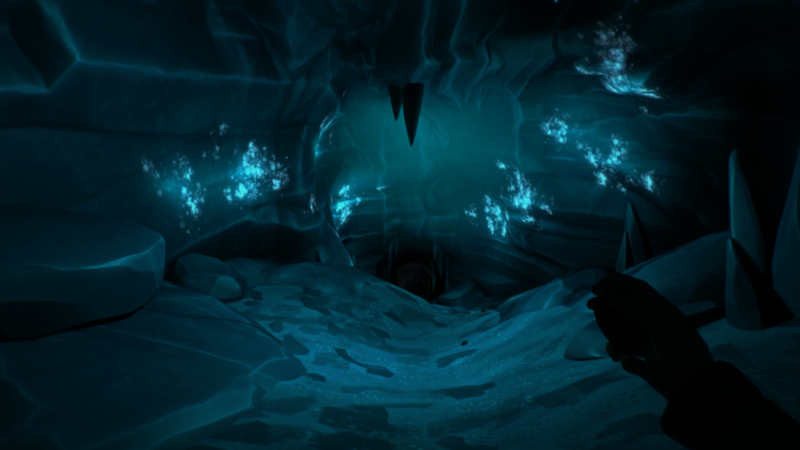 End up in a very big ice cave, a lot of blue light in there, but still negative FL. Go away, random again. Find a rope up. can’t be worse than dying, I climb it. End up at another exit/entry, but can’t go outside, can’t afford the cold out there. I will explore the cave more, and die there during the night, I guess. At sunset my temp bar goes red. I can’t believe there’s no loot in the cave except sticks. I believe the rope point maybe, has something I didn’t see, but I have no idea how to go back there. I find the place again, but can’t find anything else than 1 coal in this very dark room. I die from hypothermia during the night, at -1°C FL. I think maybe I should continue Interloper only whit the feats of +2°C FL bonus, which is only 7 outside days away. Completing maybe Hopeless Rescue would be a good break from Loper and offer me that useful feat. Watch out for the new Fluffy in the ice caves! Interploer is truly punishing. I say maybe try Stalker? More loot AND wolves! Also, who else thinks theirs too much loot in Stalker? Sorry if this is off topic, just curious what others think. Sorry if this is off topic, just curious what others think. Damn.. you're getting a lot of HRV starts..
Looks like the RNG gods have taken a dislike to you.. hope they ease up on you soon!